We have a great selection of caravans under £8,000 offering superb value for money and which are suitable for all tastes and budgets. These caravans can make an ideal holiday home for both couples and young families, possibly allowing you to experience the joy of caravanning and the freedom that it offers for the first time! Caravans priced between £8,000 & £12,000 prove to be extremely popular all year round and we aim to have a large selection to suit all tastes across our 3 branches in Swindon, Oxford and Reading. Either browse online or pop in store to see what we have. It’s always worth remembering that we offer £500 vouchers with every used caravan purchased over £5,000. These vouchers can be spent on any service or product available from any of the 3 branches. We offer superb part exchange prices should you be looking to upgrade, honest advice and have some fantastic payment options available to enable you to find your perfect caravan. Each caravan receives a full valet prior to you collecting and we offer a live handover to all customers to ensure they are happy with the workings of the caravan before towing it away. We offer free and honest advice on helping you find the right caravan for you. Our high end used caravans, either single or twin axle, are well presented and packed full of the latest functionality as they are often only a few years old. Towing weights will often increase with the size and increased specification of the caravan so we’ll make sure your tow car is suitable. 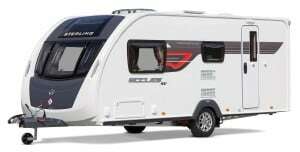 All three branches have a great range of caravans at these prices.